Samir Nasri looks to have no part to play in Pep Guardiola’s plans at Manchester City and the French international is now on the verge of completing a move away from the club. Below, Nasri is pictured landing in Turkey ahead of his move to Antalyaspor. Goal have reported that the move to Turkey is unlikely to see City receive anything near the fee that he was purchased for from Arsenal in 2011. 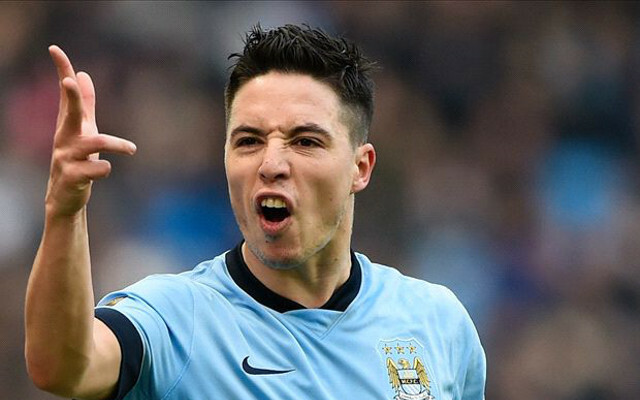 City purchased Nasri from the Gunners six years ago for £25m, as per the BBC. Despite making 129 Premier League appearances since signing for the blue half of Manchester, Nasri has failed to make himself part of Guardiola’s plans since the Spanish manager arrived in Manchester. Last season saw Nasri go out on loan to Sevilla and while he was part of City’s pre-season tour to the United States this summer, he has been unable to prove his worth. The Frenchman will not be short of star company in Turkey though. Nasri’s reported new club are currently captained by ex-Barcelona star Samuel Eto’o. Despite losing their opening fixture of the Turkish Super Lig, Nasri will look to recreate some of the magical form he has shown over the years at his new club.